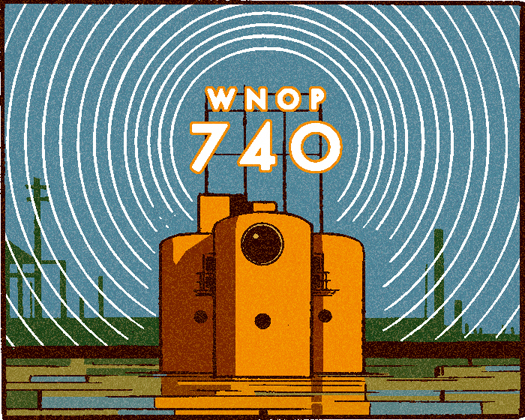 Once anchored along the Newport side of the Ohio were the floating studios of iconic jazz station WNOP-AM 740. The Jazz Ark, as it was known, was custom built by Tucker Marine from three large steel tanks, painted orange. The low-power station began broadcasting an eclectic lineup in 1948 but evolved into a jazz station in 1962 (Leo Underhill and Oscar Treadwell were among the on-air captains) and remained so until 2000, when the station was sold. At one time, the Ark was sighted—partially submerged—in a marine salvage yard along the Licking River, though it’s now beached at Bellevue Sand and Gravel, south of Aurora, Indiana, in the hands of a collector of all things unusual, Bill Rudicill.